The term “brand” has been around since before the 12th century, though the meaning was a bit different at that time – to quite literally burn a mark. When you think about it though that is exactly what businesses are trying to do: burn a mark in our minds. Over time a brand has become much more than just a mark, it is everything that helps form the perception of a company, including the emotions consumers have toward a company. 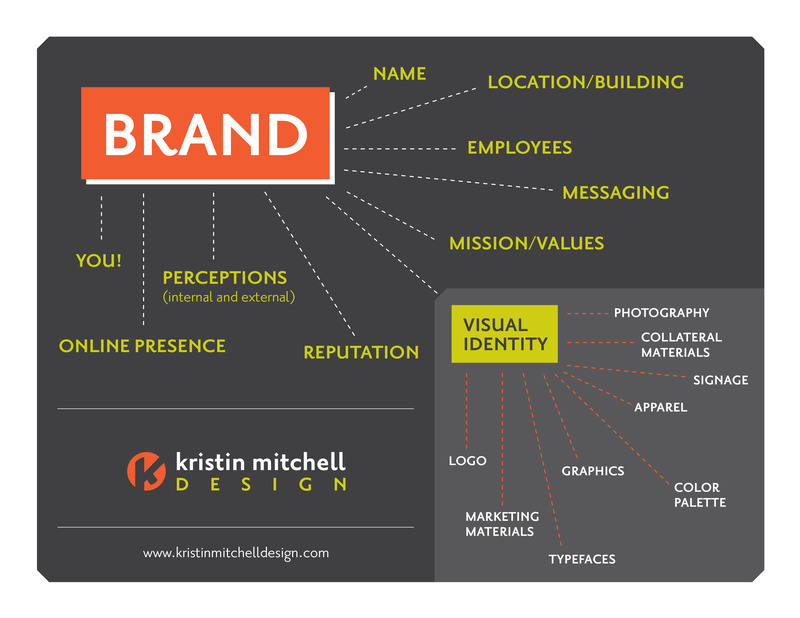 This graphic shows many of the different elements that make up a brand. It is important to understand the difference between a brand, a visual identity (aka visual brand identity or brand identity), and a logo. As you can see from the graphic a visual identity is just one part of your brand. Taking that one step further, your logo is just one part of your visual identity. The logo is the graphic used to represent your company. A visual identity is just what it sounds like – all of the visuals associated with your company. These include a company’s logo, color palette, fonts, signage, collateral materials, and really any other design application you can think of. People learn to recognize your visual identity and associate it with your company. This helps increase brand recognition. Increasing brand recognition helps burn the image of that company in our mind. Does our company have a mission statement? Is our visual identity consistent across all of the materials used to represent our company? Are there things our company could do to improve our brand? One of the most important things to remember about brands is that they are constantly evolving. Customer perception can change in a millisecond, so it is important to focus on the aspects of your brand that you can control. 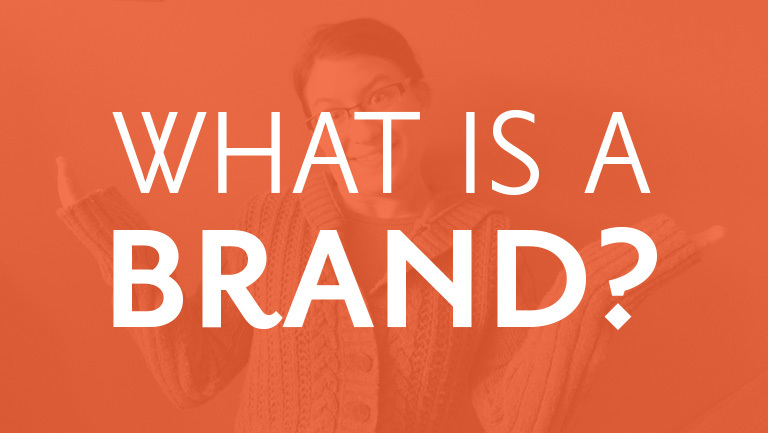 Part 2 of the Stand By Your Brand series will provide tips on how to build your brand.